Brussels is an international city meant to be experienced as a local rather than a tourist. We spent a week in Brussels leading up to New Year's Eve 2014. Based in our Airbnb (link to Airbnb with discount code), we felt ideally suited to pretend to be locals and explore all that this great city has to offer. Here are some of the highlights. Brussels is home to the EU government and thus features a large expat population. This coupled with immigrants from around the world means that you can find an amazing array of cuisine here. 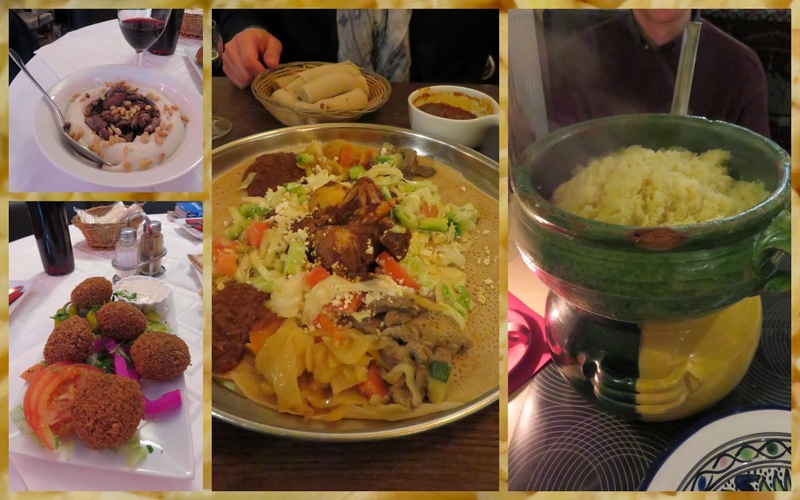 We sampled Lebanese hummus and falafel, spicy Ethiopian cuisine served on spongy ingera bread, and a piping hot dish of Tunisian couscous. If you prefer something even more local, consider seeking out the best waffles in Brussels. Brussels features an excellent jazz scene. 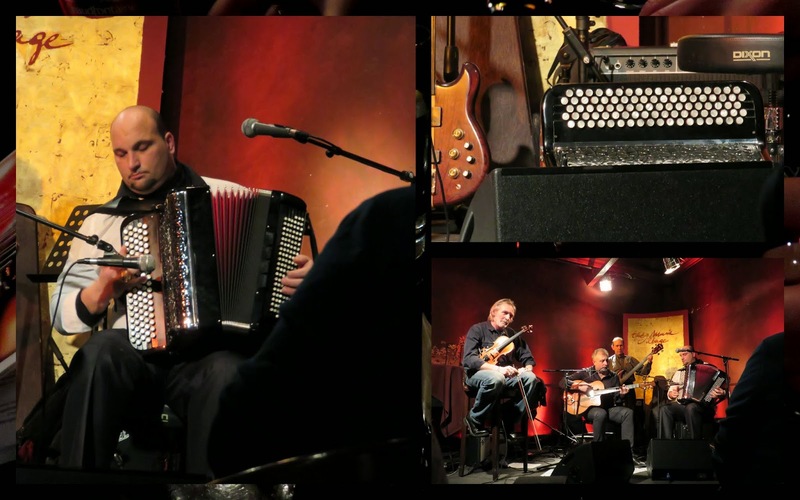 We caught a performance by the Daniel Willem Gypsy Jazz Band at the Music Village not far from the Grote Markt. I was simply mesmerized by the accordian player and the speed at which he played. The performance was off the hook. 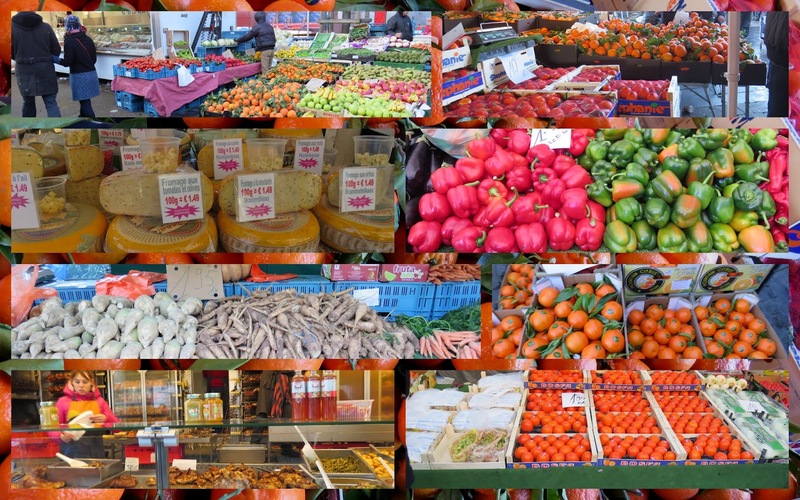 How better to experience life as a local in Brussels than to go shopping at a Farmers Market. We braced for the cold and explored aisle after aisle of produce and other goods for purchase at the Midi Farmers Market (nestled in the shadow of Bruxelles-Midi station). Lucky for me that I found a vendor selling gloves at 2 pairs for 1 euro. It was freezing outside! 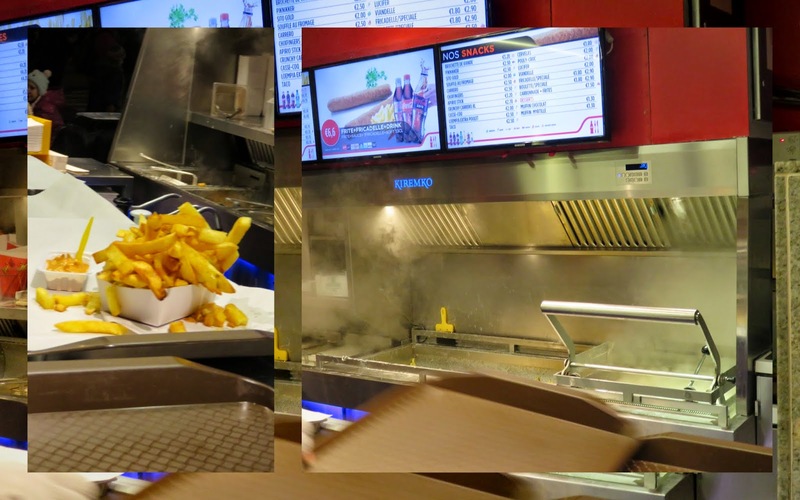 What do locals do when they get the munchies in Brussels? They stop for frites of course. We found ourselves queuing up for a savory snack on more than one occasion before heading home after an evening out. Brussels is known for its Art Nouveau architecture. 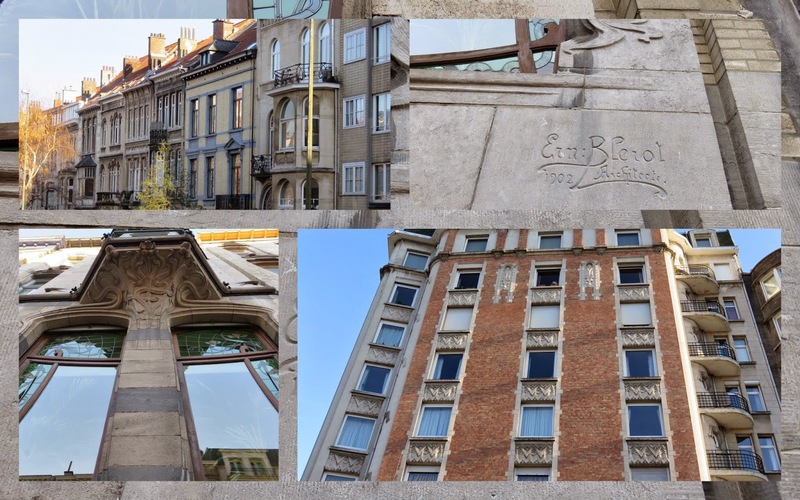 We strolled along the ponds near Ixelles and thought about what it would be like to call one of these Art Nouveau stunners home. Going for a walk off the beaten path is also an excellent locals' pastime. 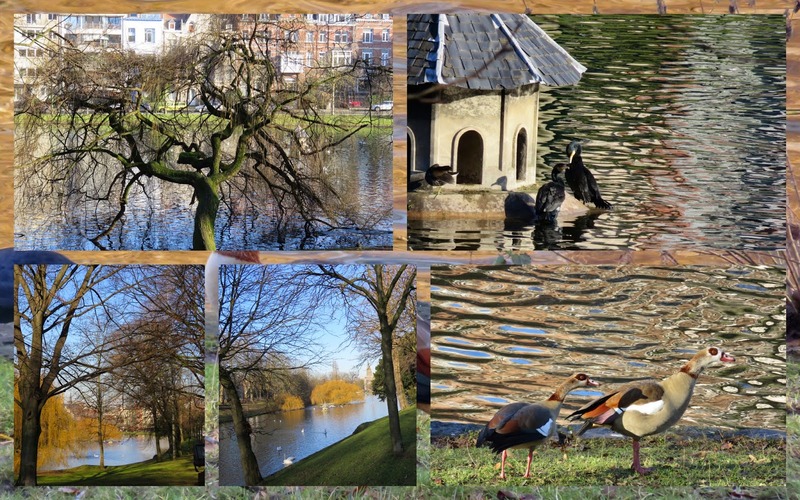 We visited the small lakes near Ixelles for a bit of bird watching. 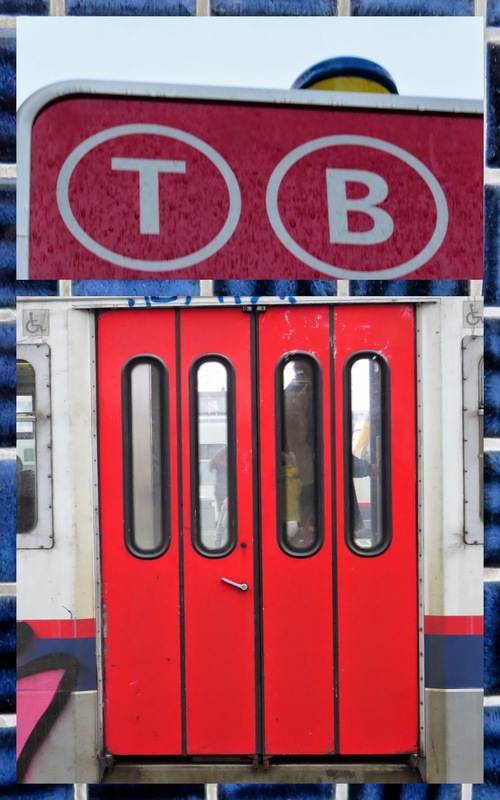 Hop on a bone-rattling tram as you make your way around the city. This is how the locals do it. The best way to experience Brussels as a local rather than a tourist is to stay in an apartment rather than a hotel. We rented an Airbnb in Ixelles. 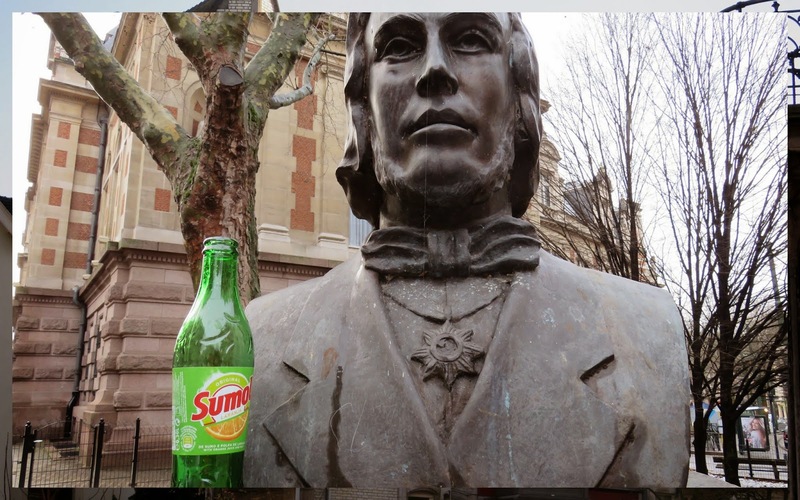 By basing ourselves here, we discovered all sorts of delightful things (like this soda toting statue) in our own backyard. We really enjoyed the opportunity to spend an extended (for us!) period of time in Brussels and to experience the city like a local. However, if you are short on time, check out the DreamPacker's suggestions for things to see in Brussels in less than 24 hours. A short trip is better than no trip at all! Ways to experience Brussels like a local while visiting as a tourist.